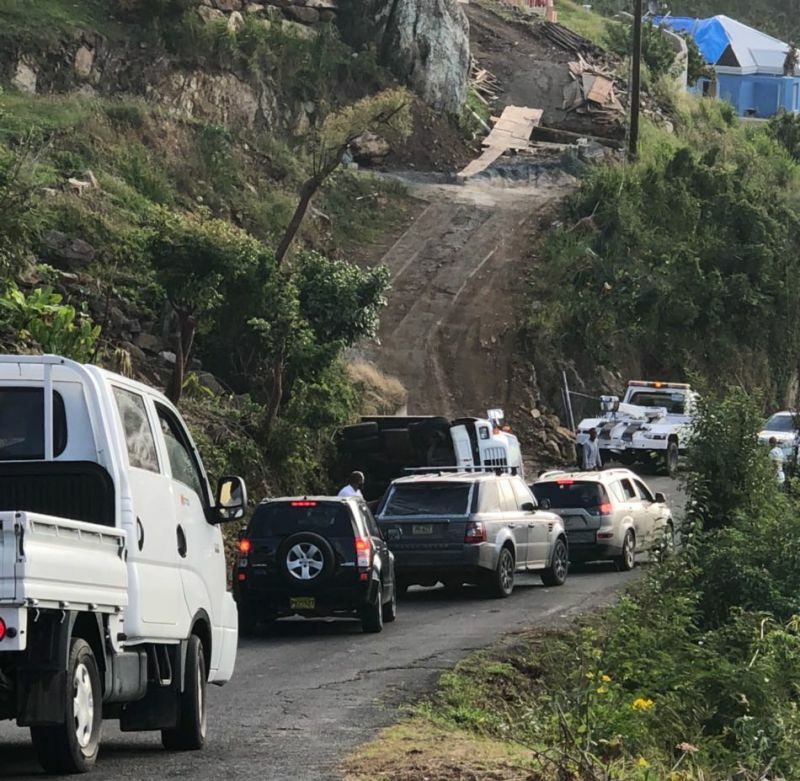 GREAT MOUNTAIN, Tortola, VI- Two vehicles ended up on their sides following separate accidents on the Virgin Islands main island of Tortola. In one of the accidents, which occurred this morning, January 13, 2018, a heavy duty truck toppled along the Great Mountain road. Traffic has been severely affected in that area. It is unclear how the truck ended up turning on its side and whether anyone was hurt. 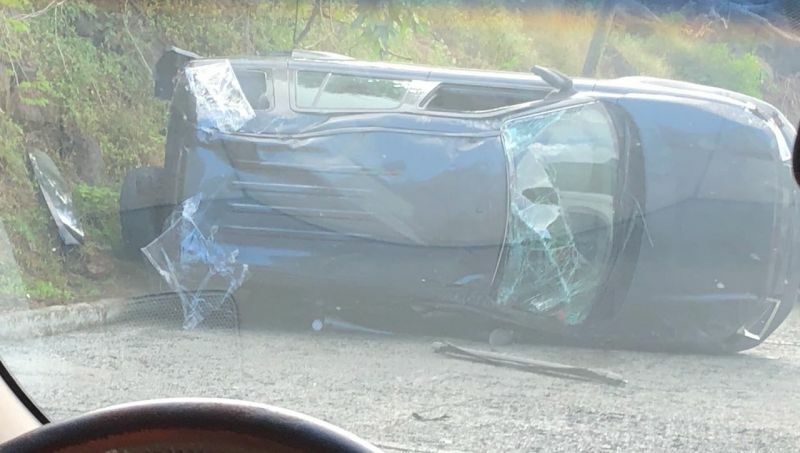 Our newsroom was also informed that a car ended up on its side in Johnson's Ghut sometime last night. It is unclear at this time how the incident occurred or whether anyone was injured. So times passing on small roads to avoid other cars, you may go too far to the edge. Since our infrastructure is so worn away and fragile, there should be guardrails at certain tight spots. So people, we must drive with caution and slow down. I still see people speeding dangerously close and behind other vehicles. Our lives are at stake.